Forgive me . . . 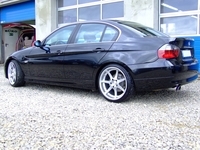 I just couldn’t resist this E90 BMW! 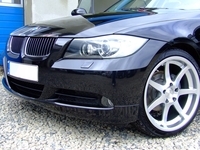 I know that some of you will say to this post, I thought this is a BMW E36 blog not E90 blog. I hope you won’t say that because after you check out the photos below, you will be more than happy with this post. When I saw those photos, I thought you will like them ( I hope I was right ). So, enjoy and lets see your comments. BTW, I kinda hate the rims. what do you think? Cleaning E36 ICV (Idle Control Valve) . . . DIY! 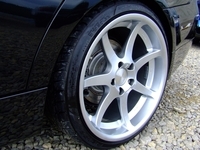 Car hesitation and RPM bouncing are the most common problems between the BMW E36 cars. It seems that many cars have the problem and the problem is very hard to fix. I recall that even my previous E30 used to have the problem, but some how, the problem was solved. Maybe with something that I did and didn’t notice it fixed the problem. Now my E36 318is is having the same symptoms and it gets very annoying especially when I turn my A/C on. I started looking for a solution to this problem and it seems that cleaning the ICV (Idle Control Value) is one of the most obvious reasons for the problem, so I looked for a DIY about it and found one. The DIY is for M42 engines. I will be writing another post to fix same problem for the M50 engines. Please notice that I didn’t try this DIY myself yet, but I’m going to do it very soon. It took me about an hour to remove, clean, and put back the ICV. Plus I let the hoses dry (while out of the car) for about 20 minutes on top of that. 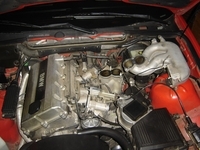 First, start by opening the hood with the engine off and hopefully not too hot, as you will make contact with the block and the intake manifold. 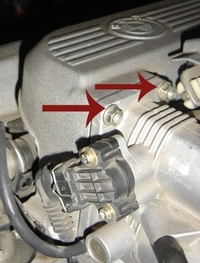 You will take off the intake tube, shown below, by loosening the screws at the blue arrows, and pulling off the hose at the red arrow. Then pull the intake tube off completely. Next, you remove the throttle body, by four 11mm bolts. The top two are shown with red arrows below. The bottom two are on the bottom of the TB, in the same position as the top two. Next, we’ll disconnect the hose connecting the manifold to the ICV we wish to remove and clean. 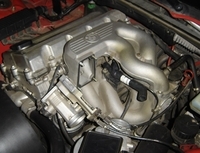 Behind the manifold, at the back of the engine bay, is the hose. Just twist it off, as shown by the red arrow. Now it’s time to remove the upper intake manifold. Undo all 5 of the 11mm nuts attaching it to the lower manifold. The nut locations are highlighted below with red arrows. The nut in the rear of the engine bay is hard to get to, but a small 11mm socket and 1/4″ drive ratchet should get it out. Now we have acces to the ICV. As shown below, it is attached with a rubber strap at the point shown with red arrows. The blue arrows indicate the electrical connection, which pulls of when you press down a wire clip. They also point to the hose connections, which you will also want to remove. Note the arrow on top of the ICV. It points TOWARDS the block. 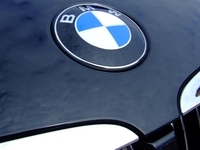 The part label with Bosch and the BMW part number written on it also face the front of the car. This is important. You want to put it back facing the correct direction. Now, take the ICV and clean it. The image below shows the ports into which the tubes were plugged, and air flows, with a blue arrow. You’ll want to hit it with an old toothbrush and a gratuitous soaking with the TB cleaner. You may choose to clean the throttle body itself while at it with some paper towels and the cleaner. Let everything dry, and clean off the hoses if you’d like. One of mine was cracked and therefore replaced, but washing the oil and grease off of them will help them last longer. Replace any that are cracked! They will make your idle worse and allow unfiltered air into the engine = bad. Be sure to let everything dry, especially items that were cleaned with water (hoses.) Installation is the reverse of removal. Be sure to connect ALL the hoses – double check! Embarrassing moments in your E36! I’ve found this thread about some of the funniest and embarrassing moments for BMW E36 owners. I hope you like it. When your passenger asks you why your car has no cup holders…and you answer “because it’s an extra $90 at the dealer. Just got new rims didn’t think about my CAI, turned a sharp corner and the tire caught my filter, ripped it right out and i ran it over! i had to pull over and run on the street to pick up the pieces. LOOOOL! This was when i first got my car. Sitting at a red light, looking all cool. then i couldn’t get into first (common problem) and stalled it when everyone was checking out the car. One day into driving stick, I am in traffic and stall out and the guy behind me in the smallest Hyundai you can buy is beeping at me and giving the finger. At Bimmerfest, My battery died after a group of us stopped. Then me and my friend had to go into a Church to ask for jumper cables. Worst thing is… 2 mins later a bride and groom came out of the church and Im standing there trying to jump my car. When I act cool at the school when i get dropped of at and everyone is looking i go to put my window up it decides to go down then i put it up and it goes down and looks like crap. Once I tried to impress a group of girls. I tried starting my car, oblivious that I set the Code feature, and the engine just turned over. I tried again and it just turned over. I saw the girls start to laugh, so I tried a third time, not understanding why my baby won’t start, and the alarm goes off! By the time I shut the alarm off and start the car, the girls are already walking away laughing. I hope you liked these, lets see your comments. . .
Amazing BMW E36 burnout . . . Watch It! 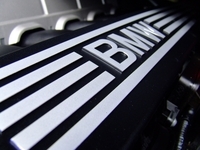 This is a new video of a BMW E36 burnout! It really made feel dizzy just from watching it. I wonder how the driver felt while he’s doing all these crazy donuts and burnouts. The only thing that I’m almost sure of it is that you will definitely like this very much. This is Miss June BMW E36. I’ve found her photos on Flickr here and I thought you should see. She’s a nice babe. I hope you like it.